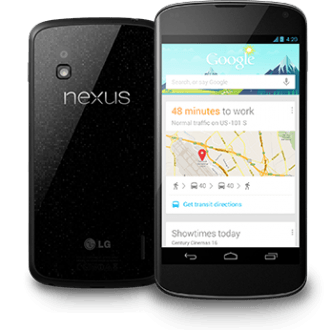 Google’s latest Nexus 4 smartphone is a great deal for anyone looking to buy an unsubsidized phone upfront. It's only $300 for 8GB or $350 for the 16GB model, as opposed to $600 or more for today's high-end phones if you can find them off contract, and since it comes unlocked you'll be able to get a cheaper or pre-paid plan rather than locking yourself into two years of overpriced voice and data. Indeed, demand for the Nexus 4 is there, but the problem is Google can’t seem to get them into customers’ hands. Supplies of the handset have been scarce since launch, with Google pushing the initial 3-5 day shipping estimate to up to eight weeks in some cases, and then pulling new orders altogether. Google UK and Ireland Managing Director Dan Cobley wrote on his Google+ page this weekend to explain the situation, pinning the blame on "scarce and erratic" supplies from manufacturer LG, but also admitting that their communication has been flawed. Cobley personally offered “an unreserved apology” to Nexus 4 buyers, calling the delays “unacceptable”, and promising to work “through the nights and weekends” to resolve the issue. Orders that originally showed a 3-5 day shipping estimate are being processed this week and will receive a refund for the shipping charge soon. Orders with pre-Christmas shipping estimates are also said to be going through shortly. You can read the full statement below and other comments from Cobley on his G+ page.